11. STOP SAYING YES WHEN EVERY FIBER OF YOUR BEING SCREAMS NO! However, it’s not the energy vampires who strip you of your progress…it’s your management of them. Your kindness that suffocates your progress for the sake of “keeping the peace” is no peace at all… it’s not even a compromise. 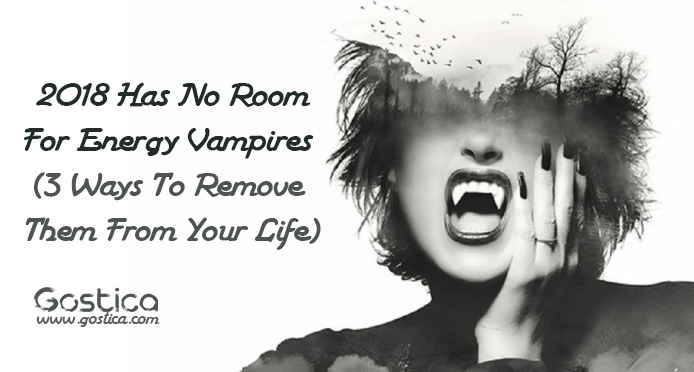 It’s people-pleasing, it’s low energy, and it’s the energy supply keeping energy vampires thriving and you depleted. It’s coming from a very low vibrating energy source…and therefore holds little value (if any at all), yes? The name calling from the energy vampires camp will be temporary and anything and anyone who chooses to align with that is simply the continued clarity and uncluttering that must unfold. Uncomfortable…yes…but ultimately a very good thing for you. Trust the process. Every single time you do this you add an energy and momentum creating more space between you and what you want in your life. Saying ‘Yes’ when you mean ‘No’ is low vibrating energy and expands on the things aligned with low vibrating energy. Is this what you want? Commit right now to practicing the art of saying, ‘No’ without explanation. No is a positive word if it means staying the course to a meaningful life with more joy and purpose (remember this next time you have to say no). Lean into the purpose and away from people-pleasing. In the Dalai Lama’s 18 rules for living, he states, “Spend time alone every day.” Get strong by learning who you are and why you are, BEFORE the influences of the world impact your energy, your mood, your actions, and ultimately your life. Manage you and how you choose to be influenced (by authentic leaders, masters, teachers, etc…) and in order to do that, you MUST be the CEO of your life. Demand time alone, schedule it and do it. Get busy thinking about possibilities for your future versus dwelling on your past (or even present unhappy circumstances). Instead of hating what happened, learn to LOVE the lesson and apply what you’ve learned into actions in favor of a brighter future. Look for ways to make your own life more fun and interesting and STOP being reliant on others for it. Truth be told…as you apply these new ideas into your life a filtering process will commence and it’ll be clumsy and uncomfortable. REMEMBER… 2018 holds no room for the energy vampires in your life and it’s up to you (and you only) to cut the supply, protect your peace and enter 2018 cleared of the energy cluster.